Qualifications: Performance Diploma ( with Hons ) Victoria College of Arts, Melbourne, Australia. Suitability: All ages and stages are important to me. I believe singing should be taught well at the early stages of one's life and also to be maintained at a later age. Patricia Wright, one of New Zealand’s most acclaimed singers, trained in New Zealand with Sister Mary Leo and in Australia with Dame Joan Hammond. She was awarded a Queen Elizabeth II Arts Council Grant to further her studies and after graduating from the Victorian College of the Arts in Melbourne, received a scholarship to enable her to study in Europe. Soon after her arrival in London, Patricia was awarded second prize in the prestigious Benson & Hedges Gold Award for Singers and she also represented New Zealand in the renowned Cardiff Singer of the World competition. Critically acclaimed performances in lieder and oratorio led her to every major concert hall in Britain and roles in the United Kingdom and Ireland included Norina, Micaela, Mimi, Pamina, Nanetta, Gilda and Dido. During this period she returned to New Zealand several times and sang Mimi in Canterbury Opera’s La bohème, Despina for Wellington City Opera’s Cosi fan tutte, Micaela in Auckland Opera’s Carmen and the Mother in Amahl and the Night Visitors at the State Opera House. Since returning to live in New Zealand, Patricia has accepted engagements from the major orchestras, opera companies, festivals and choral societies. 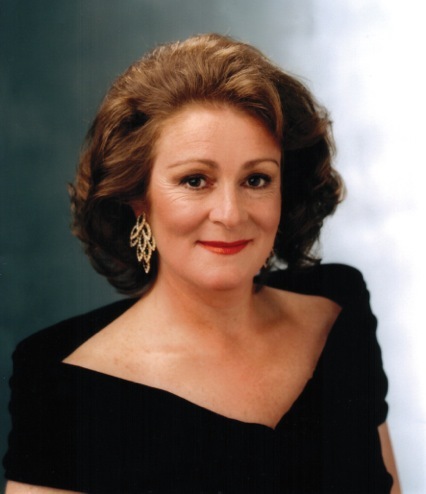 Patricia’s operatic roles include Donna Anna in Don Giovanni, Countess Almaviva in The Marriage of Figaro, Alice Ford in Falstaff, Liù in Turandot, Nella in Gianni Schicchi, Clorinda in Cenerentola, Nedda in I Pagliacci and Madame Butterfly for NBR New Zealand Opera, The Countess in The Marriage of Figaro for Canterbury Opera, Magda in a concert performance of La Rondine for Academy Opera, First Lady in The Australian Opera’s Magic Flute, Oscar in Un Ballo in Maschera, Micaela in Carmen for Wellington City Opera, Leonora in Il Trovatore with Southern Opera, and Madame Larina in Eugene Onegin for NBR New Zealand Opera. A much sought after recitalist and concert performer, more recent concert engagements include an outdoor concert at Government House in Wellington, a concert with Christchurch Symphony Orchestra, Britten’s Les Illuminations with the Auckland Chamber Orchestra and a performance as featured artist in the Australian Festival of Chamber Music, Townsville. Other concert engagements include Vaughan William’s A Sea Symphony, Verdi Requiem and Beethoven’s Missa Solemnis for Auckland Choral Society; Strauss’ Four Last Songs, Golijov’s Three Songs for Soprano and Orchestra, a Puccini and a Verdi Concert, Songs of the Auvergne and Mozart Requiem for Auckland Philharmonia, Bach arias with the NZ String Quartet at Nelson Chamber Music Festival, a concert including Golijov Songs and the Four Last Songs with Christchurch Symphony, and a recital for the Fuel Festival in Hamilton. Patricia has also sung Mahler Symphony No. 2, Carmina Burana, Stravinsky’s Pulcinella and Beethoven Symphony No. 9 with New Zealand Symphony Orchestra; Beethoven Symphony No. 9 for Vector Wellington Orchestra; St. John’s Passion and Wedding Cantata for New Zealand Chamber Orchestra; Beethoven Symphony No. 9, Mahler Symphony No. 4, a lieder recital with Diedre Irons and a Richard Strauss programme with Auckland Philharmonia; a country-wide lieder recital with Michael Houstoun for Chamber Music New Zealand; Beethoven Mass in C Major and concert aria Ah Perfido for Royal Melbourne Philharmonic Society. She has also sung Messiah, Solemn Vespers, Nelson Mass, Mozart’s Coronation Mass, Beethoven 9th and Handel’s Solomon with Auckland Choral Society; Verdi Requiem and A Child of Our Time for Orpheus Choir; the Verdi Requiem with Hamilton Civic Choir; Liverpool Oratorio with Napier Civic Choir; the Pergolesi Stabat Mater and Mozart Exsultate Jubilate with the touring Capella Istropolitana Orchestra; and a concert entitled Early Voices for Canberra Symphony Orchestra. On the festival circuit she has sung at the Rotorua Chamber Music Festival, the Christchurch Arts Festival, the Adam Chamber Music Festival in Nelson, and the New Zealand International Festival of Arts. Future concerts for 2015 include: The Auckland Arts Festival with the APO “Water and Light” which includes a new work by composer/conductor Kenneth Young, Songs of the Auvergne and the Brahms German Requiem with Bach Musica, and “Opera in the Gulf” on Waiheke Island. Patricia has recorded Verdi Requiem with Opera New Zealand and Auckland Philharmonia; Serenata, songs by Italian composers, with David Vine, pianist, (Atoll); Frank Bridge Songs (Pearl); Jane Austen Songs (Pearl); Rebecca Clarke (Gamut); Arnold Bax (Continuum); Kenneth Young NZSO (Trust Atoll) and Hummel’s Missa Solemnis for Naxos. I have been teaching singing at the School of Music at the University of Auckland for eight years and at King’s College, Otahuhu for three years. I also teach at Diocesan School for Girls. First prize in McDonald’s Aria, Australia, Lexus Song Quest, NZ Aria, North Shore Aria, South Auckland Aria, Waikato Aria, Napier Aria, Otago Daily Times Aria and numerous extremely prestigious scholarships throughout New Zealand and Australia. My belief with teaching is to respect the needs of each individual. To develop the voice and the person to their full potential as a singer and performer. As well as teaching the songs, I work on technical exercises to help understand breathing, agility, staccato, tonal evenness, range development and above all, beauty of tone and a free voice. I try to bring out the best vocal quality the individual can produce in a relaxed and fun way. I believe everyone who enjoys to sing to what ever standard, needs to be trained well. My own experience as a professional singer for 30 years has allowed me to hear and feel other singer’s problems. I can sense where a voice needs to be placed or corrected and can impart my experience. I have sung in many languages, mainly Italian, French, German, Spanish and English and know much repertoire or songs in these languages but have a huge list of operatic arias, choral arias and some music theatre. My teachers were Dame Sister Mary Leo for eight years ( New Zealand) and Dame Joan Hammond ( Australia ) for three years. In London I worked with a number of the best coaches and accompanists Roger Vignoles, Anthony Saunders, David Harper, Malcolm Martineau, Robert Sutherland, Paul Hamburger and many others.